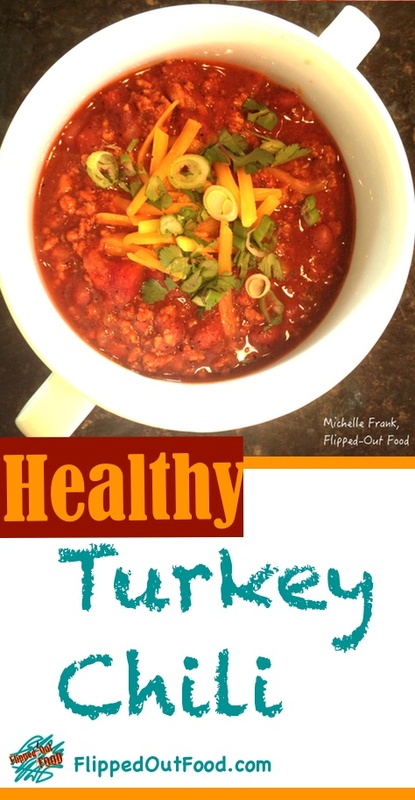 Turkey Chili is thick and yummy, but lighter than the usual ground beef chili. Leftovers are even BETTER the next day. It’s National Chili Day! This turkey chili, though perfect for the occasion, is good on ANY day. 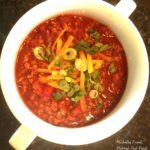 This chili is a Frank family favorite: the perfect bowl for those winter nights when you need a soul-warming pick-me-up. It’s also great party food: you can put it in the crockpot and set out the toppings buffet-style! My turkey chili is thick and flavorful. I use ground turkey to lighten up the calorie count somewhat. Of course, you can undo the health factor of the chili by loading up with tons of cheese and sour cream, but—everything in moderation, right? I go nuts with the cilantro, scallions, and chopped tomato-type toppings, add a small sprinkle of grated cheddar cheese, maybe a tablespoon of sour cream, and a few dashes of hot sauce. We like spice in the Frank household. If you are heat-averse, you might start with only 1 tablespoon of chili powder and 1 jalapeño. I add cumin seeds because they soften up and add a surprising pop of amazing, smoky flavor. Turkey chili comes together very quickly, so you can easily make it on a weeknight. It’s also great if you make it the night before and let it hang out in the refrigerator. The flavors meld and become even more amazing! Leftover Turkey Chili is fantastic atop baked potatoes with a little melted cheese on top: that’s an incredibly simple dinner in and of itself. 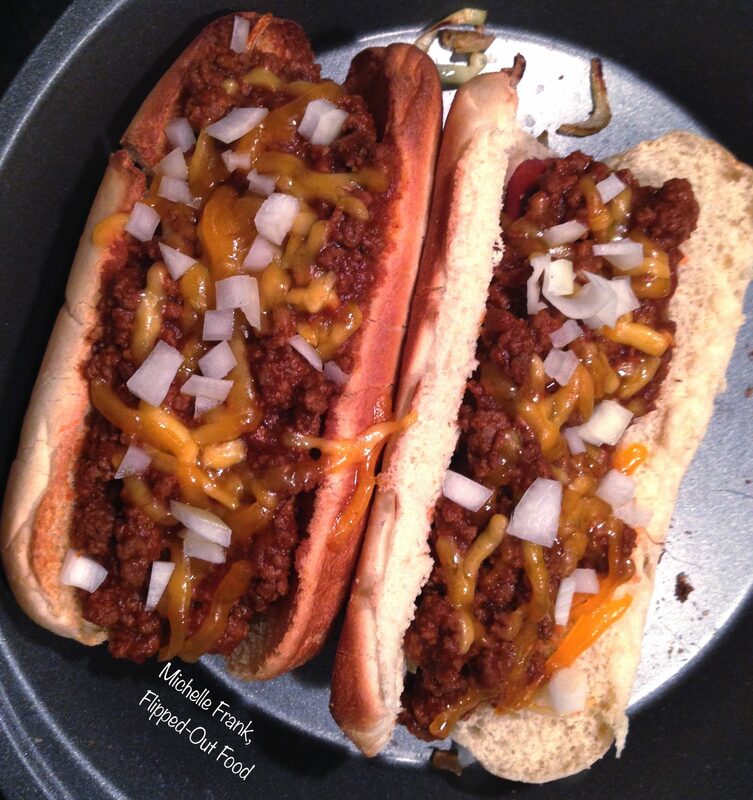 Or, use turkey chili in the cheese dogs I’ve linked below! This turkey chili will warm you up—and fill you up. Enjoy! 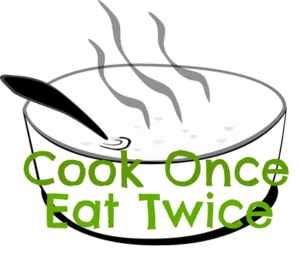 I’m linking my Turkey Chili recipe up with #CookOnceEatTwice. Check it out for meals that produce leftovers that are just as yummy the next day as they are when you made them! This chili is amazingly fast and very healthy. To me, chili is all about the toppings. The usual suspects in the Frank household are cheese, sour cream, sliced scallions, diced fresh tomatoes, chopped cilantro, Cholula hot sauce, and jarred jalapeños. Phil also likes to crumble tortilla chips or saltines over his bowl. 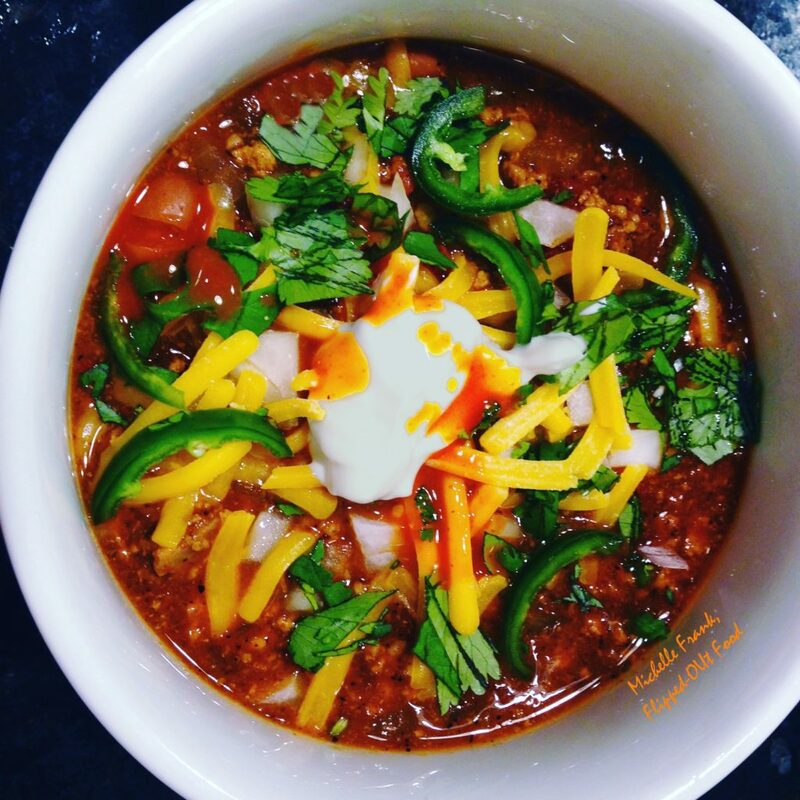 This bowl of chili is the perfect winter-night comfort food! Brown the meat in a heavy-bottomed pot or Dutch oven over medium heat. Drain. Remove any excess grease from the pot. Add the oil and diced onion to the pot and sauté until soft, about 5 minutes. Add the garlic and cumin seeds. Sauté an additional minute. Add the cumin and chili powders and the bay leaf. Stir until fragrant, about a minute. Add the tomatoes, ketchup, beer or broth, jalapeños, a generous pinch of salt, and 2 grinds of black pepper. Stir until well combined. Gently stir in the beans. Heat until bubbling gently, then reduce heat and simmer for 20 minutes. Check your seasonings, adjusting as necessary. Serve with your family’s favorite toppings. Enjoy! My “junk food birthday” dinner for 2015. Ooey-gooey awesomeness on a paper plate. Thanks, Jennifer! We are all chili-heads in this house, so this is a favorite! Thank you, Corina! I agree: this time of year practically demands big bowls of comfort food. And it’s funny: I almost look forward to the leftovers more than the first meal!